Although there is much written on German research sources, I have not found the same amount of space given to Switzerland sources in webinars or at conferences. I decided to do a Google search and came up with several rich Swiss research source and “how-to” sites. The first document that I would like to recommend is a research guide from Brigham Young University. A portion of the text was actually a 1969 presentation by Professor Dr. C.H. (Hans Conrad) Peyer, former professor at Zurich University in Switzerland, at the World Conference on Records and Genealogical Seminar, titled “Genealogical Research Sources in Switzerland.” Another portion, “Using Swiss Reference & Research Tools” was written by Barbara W. Whiting. I immediately went to the Family History Library catalog to see if the Swiss Surname Book is available on microfiche for loan. The film number is 6053507 and can now be ordered on-line. After I had placed my order, I did some more on-line searching and found that The Swiss Center of North America has put a searchable database of the (all/a portion of?) Swiss Surname Book on its site. I found a whole page of Kreises and most were in the canton of Thurgau. Another tool is at FamilySearch.org that shows a surname distribution map created from telephone numbers and address databases for a target name in any country on the list provided. I found that the highest concentration of Kreises was in Thurgau, in two cities that were twenty miles apart: Amriswil and Tagerwilen. Once you have identified the canton (district) from which your ancestor came, Peyer says “for information concerning the time before 1876, (one) should write to the state archives of the canton.” What is the significance of the 1876 date? I composed a letter to the State Archives in which I presented the pertinent facts I know about Johannes Ulrich Kreis (I have very few): his birth date as given on various documents, his date/port of arrival in the US, and his port of embarkation in Europe and asked if they had any records matching this man. I am very fortunate to have a spouse who is a native German speaker. He kindly translated the letter into German for me. When I hear back from the Archives, I will post my findings. On the subject of whom to write to for information if you know the canton, Barbara Whiting differs from Dr. Peyer. When you are looking for emigration records, Whiting suggests “For information before 1848 write to the state archive of the canton; after 1848 write to the Swiss National Archives. 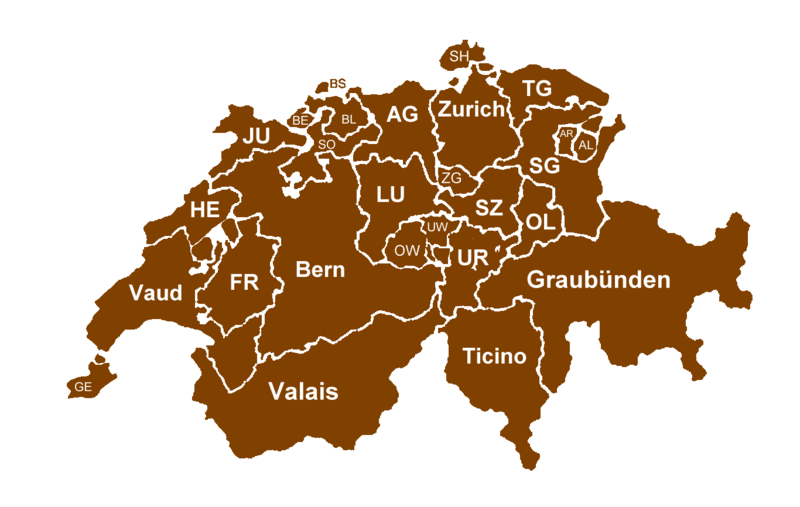 1848 is a seminal date in Swiss history as that is the year when the Swiss voted-in a constitution to establish a national government. With just a change of address, I can use my first letter to the Thurgau State Archives and send it to the National Swiss Archives. Don’t forget about the “backdoor approach” to identifying your ancestor’s canton that I discussed in a post dated February 1, 2012. To those new to Swiss genealogical research, I hope this post gives you a starting place. When all you have is a target name, like I had with Johannes Ulrich Kreis, you have several sources to help you zero in on the canton(s) where this name may have started and where it appears today. Once you have the canton, you are off and running. You can proceed with the next step of Swiss research which I will cover in Part II.